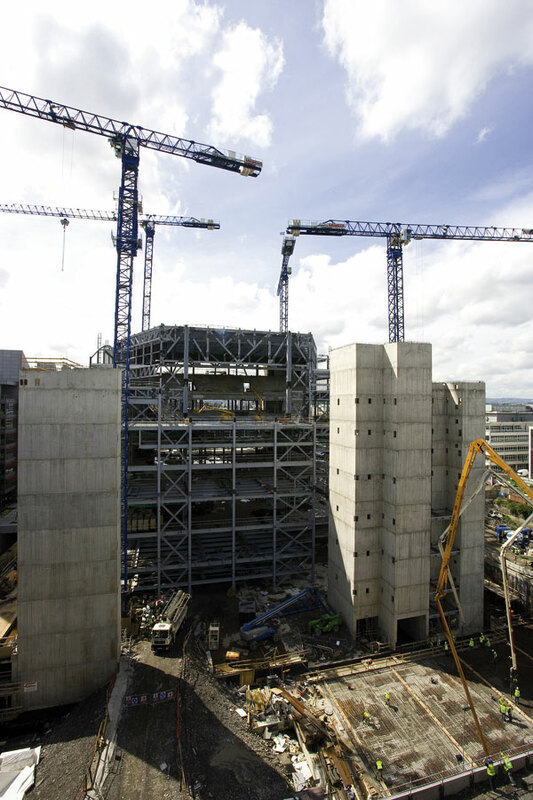 Steelwork contractor Fisher Engineering is currently erecting 8,000t of structural steelwork for Dublin’s National Convention Centre. Situated in the docklands area of the Irish capital, the building consists of a 2,000 seat auditorium above two levels of expo hall space and basement car parking. Adrian McCoy, Projects Director for Fisher Engineering, says the main structural challenge for the project is the requirement for a limited number of internal columns. Steelwork is being erected around two concrete cores and is due to be complete by November 2008. The entire project is set for a 2010 completion. Main contractor for the job is Construction Management Partnership, a joint venture arrangement between Treasury Holdings and John Sisk & Son, while Structural engineer is O’Connor Sutton Cronin.